Went it comes to globalization, startups trends and ecosystem development, BootstrapLabs has a unique vantage point and its no wonder that Ben Levy, one of our Partners, has been asked to moderate a panel on Thinking Global with some of the most influential Accelerators in Silicon Valley including Christine Tsai @500Startups, Kevin Hale @Ycombinator and Adam Draper @BoostVC. 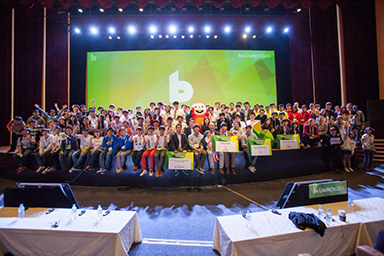 beGLOBAL is powered by beSUCCESS, Korea most successful tech blogging platform and founding father of beLAUNCH, the first Korean Tech conference for Startups with global ambitions (see video here). Our firm is extremely bullish about the Korean’s startup ecosystem over the next decade and has been spending a fair amount of time there over the past few months, meeting ecosystem players, connecting with investors, mentoring entrepreneurs and understanding the strength and weaknesses of the ecosystem. Koreans invented Facebook before Facebook and made it profitable but a lack of global thinking allowed Facebook to take the world over, including its home market. Koreans are learning their lessons, fast and President Park is committed to start a “Creative Economy” renaissance in her country, of which tech startups play a major role. If you want to now what else can come out of Korea, beside PSY “Gangnam Style” K-POP song, and take the world by storm, come attend this conference on Friday September 13, 2013 at the Four Seasons.